Florida utilities want you to pay for the costs of fracking! 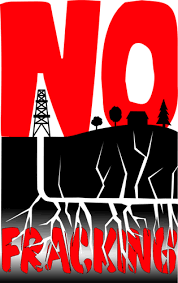 Tell your state legislators to VOTE NO on this terrible fracking bill SB1238! Powerful utility companies want to invest in fracking, while sticking YOU with the bill! If Senate Bill 1238 becomes law you could be paying more for your electricity! This bill is an attempt by utilities to overturn the Florida Supreme Court’s decision to stop Florida Power & Light (FPL) from charging its ratepayers for the costs of exploring and fracking for gas. Florida utilities want you to pay for the costs of fracking. Tell your state senator and representative to VOTE NO on Senate Bill 1238. Instead of following the law, powerful utilities are pressuring our legislators to pass SB1238. This bill would allow the Public Service Commission to give utilities like FPL the ability to make YOU pay their costs for fracking, while guaranteeing a profit. Shareholders would be completely protected from risk while YOU, the customer, would be forced to pay for both the cost of investing in fracking AND the profits for the utilities! Urge your Senator and Representative to VOTE NO on SB1238 -- don’t let powerful utilities raise rates on us in order to invest in environmentally-damaging fracking! to a 100% clean energy future for all. in his city June 23. Clean energy is saving schools, businesses, and faith communities serious money! Schools are saving millions of dollars that they are putting money back into the classroom after investing in solar. Churches are reinvesting in programs like food banks that serve low-income and impoverished communities with the money they save from going solar.Now is the time to transition from dirty fuels to 100 percent clean energy! Committing to 100 percent renewable energy will make cities and towns healthier and stronger today and in the future. Whether you’re a mayor or an activist you can take action now-- step up and support 100 percent clean and renewable energy in your community. Want your Florida mayor to commit your city to future of 100% clean energy for all? Contact Sierra Club's Ready for 100% Clean Energy for All campaign at 727-824-8813, ext. 303. When: Saturday, April 29, 2017 - See individual march hours below. Where: Mar-A-Lago, Miami, Orlando, Tampa, St. Petersburg, Ft. Lauderdale, Tallahassee, Sarasota, Ft. Myers, Pensacola, Jacksonville, Gainesville, Naples, Key West and many more. What: As Washington, DC marches against Trump’s Climate Catastrophe, Florida isn’t standing still. The state will host 21 sister marches from Mar-A-Lago to Pensacola to Miami to show that we, Floridians, with our front-row seat to climate change, demand action, justice and clean energy jobs. The events will include marches, rallies, even bike rides. **VISUALS** Marchers with signs, posters, banners and art will deliver a message of strength and unity to President Trump that climate change cannot be ignored. This date marks the end of the first 100 days of the Trump Administration, during which time Donald Trump has dismantled hard-won climate protections, issued assaults on our air, water, and land, directly attacked the well-being of working families, and marginalized Indigenous communities, people of color, immigrants, the LGBTQIA community, women, young people, and low-income communities. Rally starts at 10:30a at George Petty Park (Washington Road at Royal Palm Road). Speakers at 11a, then march to Bingham Island (close to Mar-a-Lago) at 11:30a via Flagler Dr and Southern Blvd. The goal of the March is to stand for Climate, Jobs, Justice, and resistance to Trump’s Climate Denial Policies! https://www.facebook.com/groups/739832242831927/ - group - SAA. Rally in AM, followed by a march through downtown to Hillsborough RiverWalk, including sea level rise display at MacDill Park on RiverWalk. The climate crisis is a symptom of a deeper problem: an ECONOMY based on extraction and exploitation of resources and people. This economy benefits a few at the expense of communities and the planet.Orlando People's Climate March will be happening in the Pine Hills community-a community that has experienced firsthand environmental racism. We will send a message to our elected officials that the people of PINE HILLS matter! That we deserve equal rights, freedom from discrimination and an economic system that will ensure that our communities will have collective ownership and sustainability that includes job readiness and living wages. This is more than a march, this is a gathering of people of color who are at the front lines of environmental and climate injustices, and who are ready to lead to help make change for a better future. After the march Organize Florida and its partners will be hosting a community event at Meadowbrook Middle School, 6000 North Lane, Orlando, FL 32808. Gather at Mirror Lake and 6th St. N, for signmaking, tabling, speaker's rally, then ~ 11:15a a sidewalk march into downtown for the 1.7-mi round trip, back at Mirror Lake around 12:30p. We look forward to an afternoon of local environmental dialog, to explore where we can band together. Join us on April 29th at 12PM to rally in front of the Historic Florida Capitol! Contact: Holly Parker at hparker@surfrider.org or 850-567-3393 for more information. 2-2:30 PM: speakers, meet at Centennial Park, pavilion area. After, we will then march to the Edison Bridge, walk the bridge and back. 20 organizations, stationary event in along stretch of road by Bayfront. Focus: Local solutions to climate change, esp. Ready for 100 campaign. City's Arbor Day will include tree planting and rainbarrel workshop. At noon, City Mayor and others will speak about City's efforts on climate change. Wear yellow, orange or red for a crowd photo op.